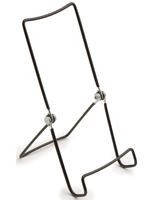 This Tabletop Display Easel is a Great Display for Books, Pamphlets, or Smaller Frames! 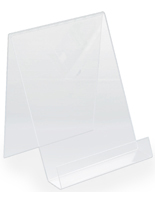 The Acrylic Holder is In-Stock and Ready to Ship! Get This Tabletop Display Easel as Well as Poster Frames Online for Less! This tabletop display easel, or acrylic easel, is great for displaying books, pamphlets and "Please Take One" materials. 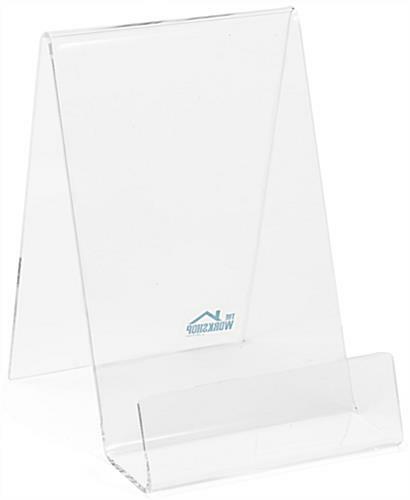 This tabletop display easel for displaying small poster frames has a front lip depth of 1-1/4" for keeping promotional materials in place. This tabletop display easel is designed to hold 4"w x 6"h stock. Entire unit is 5" deep.